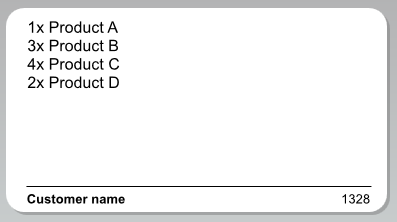 From version 3.0.0. of WooCommerce DYMO Print you can easily copy sample labels from inside the plugin. Go to the debug tab for our sample labels. We created 4 sample labels which you can use. Click the button to copy them to the label directory. See animation below which shows this proces. Created your own labels for WooCommerce DYMO Print? Please share them with us. We’ll check them out, try them and put the label on our website so we can share them with other customers. If you’ve downloaded your labels you have to upload them in the plugin.